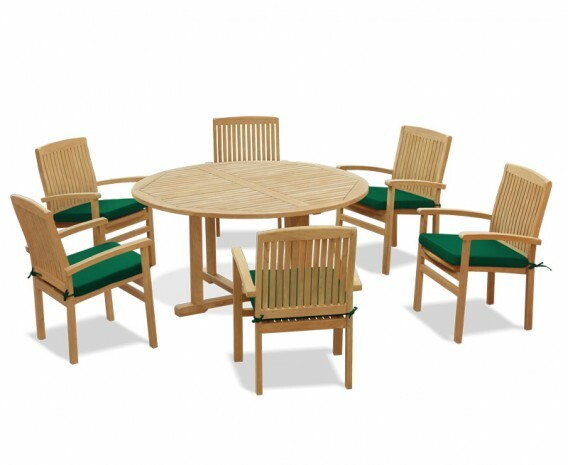 This 6 seater teak garden furniture set with Canfield round table 1.5m and 6 Bali stacking chairs will add contemporary style to your patio or garden. 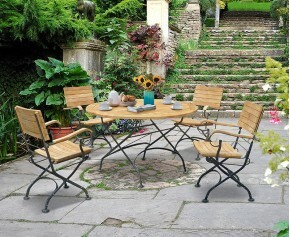 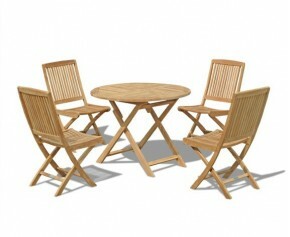 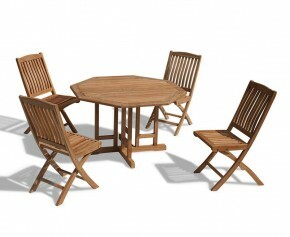 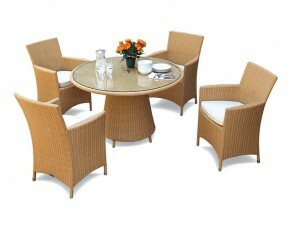 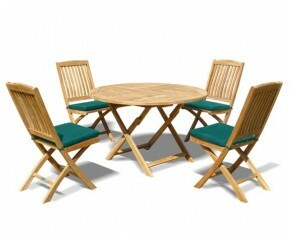 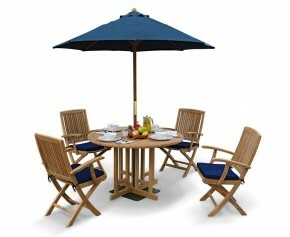 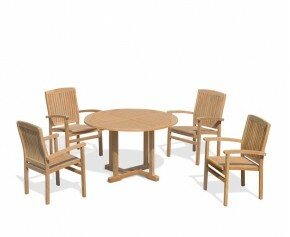 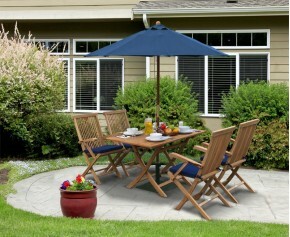 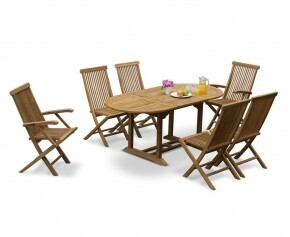 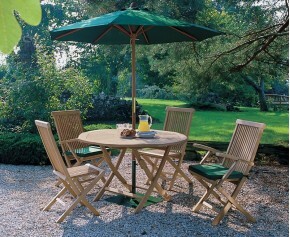 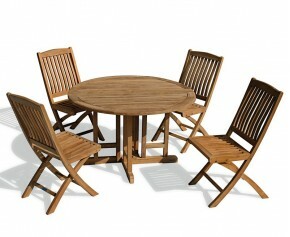 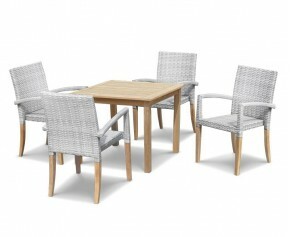 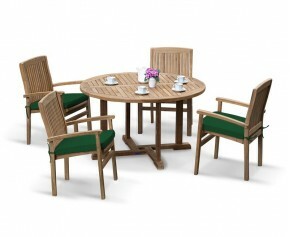 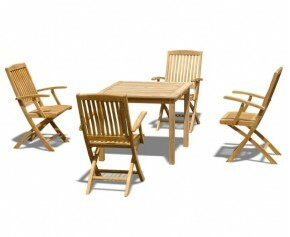 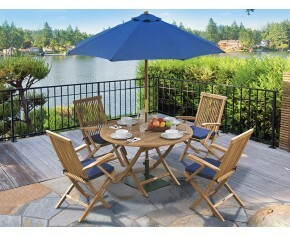 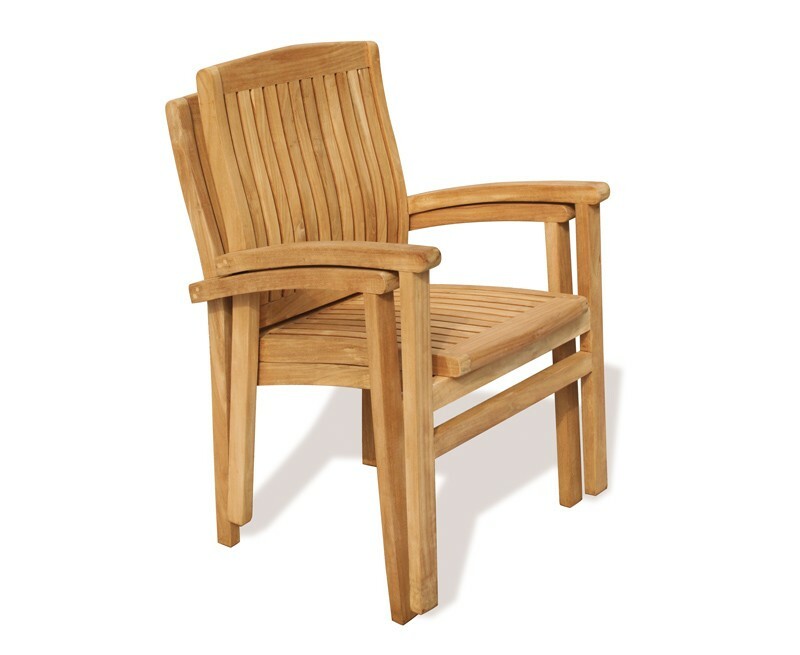 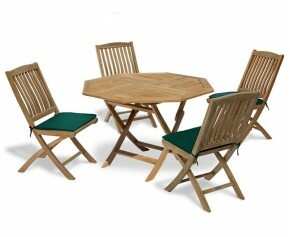 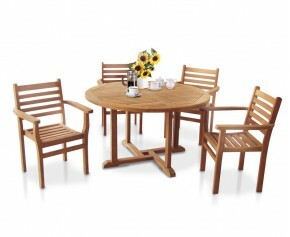 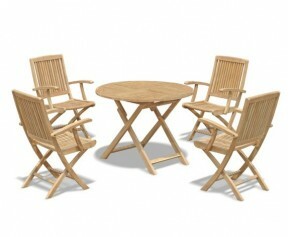 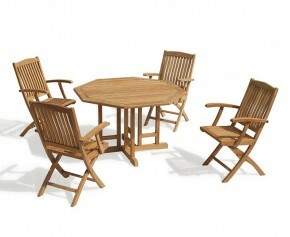 This 6 seater teak garden furniture set is crafted from sustainably sourced grade-A teak for long life and great looks. 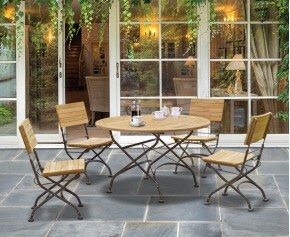 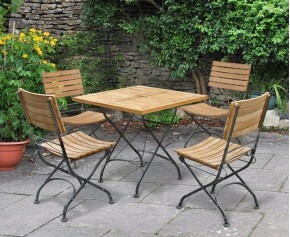 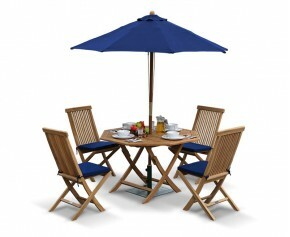 This low-maintenance teak garden furniture set can be left outdoors all year round no matter the weather. 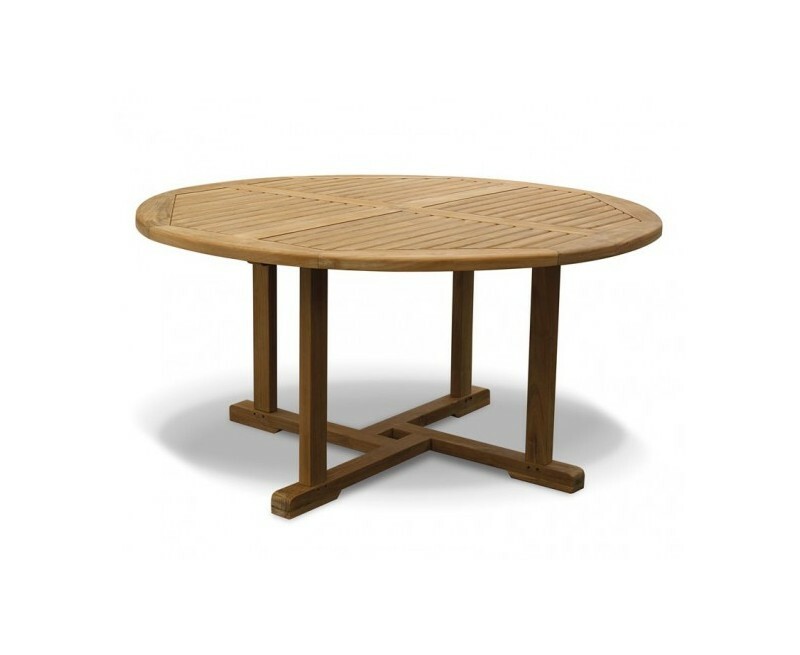 The round garden table is pre-drilled for parasols with pole diameters of up to 5cm and is supplied with a flush teak plug for when a parasol isn’t required. 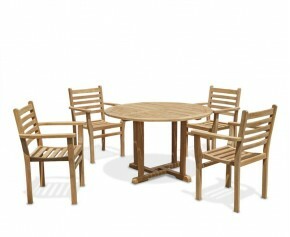 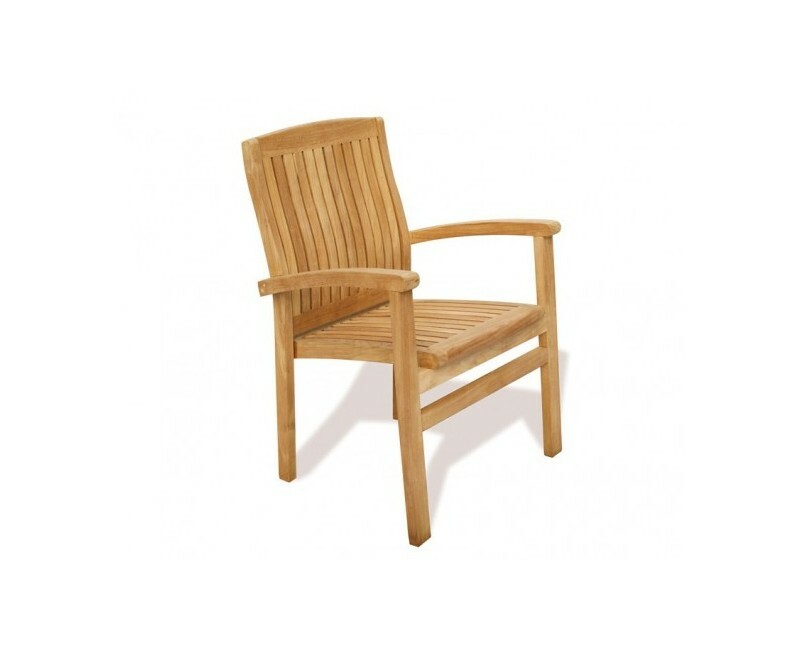 The 6 teak armchairs can be stacked for storage should you wish to reclaim your space. 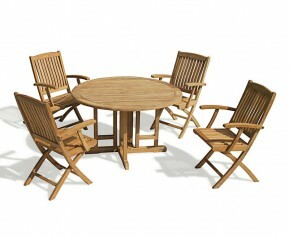 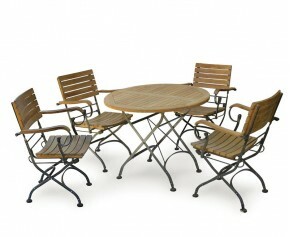 We will deliver this 6 seater teak garden furniture set to you fully assembled for your convenience. 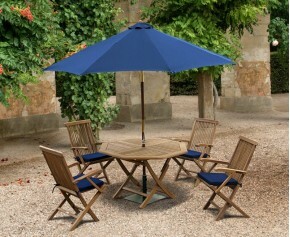 Complete the look with luxury cushions and a quality parasol and base (not included, available separately).